The retail sector is the second largest employer in Australia. And while small or micro-retailers make up 90-95% of retailers, research on small firms is rare. In fact, there is just one known longitudinal study of small retailers in the world. The Retail Research Project has identified a number of strategies and resources which are used by higher performing small and independent retail firms. The good news is that the majority of the resources and strategies can easily be adopted by most small firms. 'We all benefit when small retailers flourish,' says Dr Louise Grimmer, the researcher responsible for the study. Dr Grimmer is passionate about supporting small local retailers to prevent them from being driven out of business. Small and micro-retailers face many challenges, but there are also opportunities. 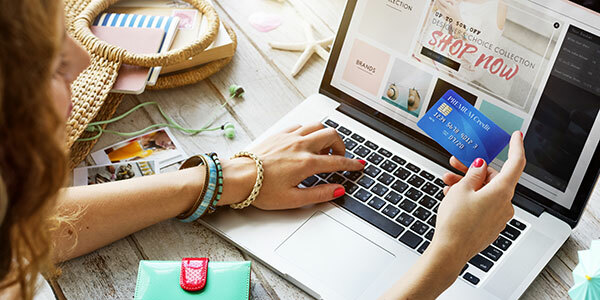 'The introduction of international retailers, the growth of online shopping, and the low availability of retail premises can make retailing a challenging endeavour,' says Dr Grimmer. A small retail business is one with less than 20 employees, and a micro business is one with fewer than four employees. 'Competing on price is often not the right approach because customers can now jump online and source the lowest priced products'. Dr Grimmer says that click and collect, offered by many large retailers, is a great strategy for small firms as well. Dr Grimmer says experiential retailing is also on the rise. Other innovative strategies for a vibrant retail sector that Dr Grimmer is researching include pop-up retail parks, co-retail spaces to reduce overheads, and a sustainable night-time economy. The Retail Research Project has been collecting data over a six-year period and involves a survey sent to all small retailers in Tasmania. The next survey in 2019 will be expanded Australia-wide with a focus on regional and rural areas. Dr Grimmer created the Tasmanian Retail Network to disseminate the research findings. She also meets regularly with local governments and retail precinct marketing organisations. Louise is a regular contributor in the local and national media where her expertise is sought on a range of retail topics. In addition to the Retail Research Project, Dr Grimmer is exploring how retailers can collaborate with local Airbnb hosts to promote their businesses, and how small cities can market their city centres. Dr Louise Grimmer is a Lecturer in Marketing in the Tasmanian School of Business and Economics. Louise's research focus is issues management and crisis communications in the context of the retail industry, factors affecting small and independent retailers, and how marketing communications can help retailers grow their firms. She is currently conducting the ‘Tasmanian Retailing Research Project’. This is a longitudinal study examining the importance of various resources on the financial performance of small, independent retail firms in Tasmania. Louise is also leading a research project ‘Just Like the Locals’ which examines the impact of Airbnb host recommendations to guests in helping drive tourist visitation to local shops and restaurants. Her other research interests are supermarket and department store retailing and how the digital economy is transforming traditional modes of shopping. Louise regularly writes for The Mercury newspaper in Tasmania on retailing issues. Louise is a Member, Certified Practising Marketer (CPM) and Tasmanian State Committee Member of the Australian Marketing Institute (AMI). She is also a Member of the American Marketing Association (AMA). Louise is a Fellow of the Institute of Place Management. Louise is a marketing and communications professional with over twenty years’ experience in public relations, communications and marketing. 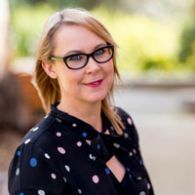 In addition to holding a number of senior PR/Marketing roles, Louise previously worked as the Chief of Staff to the Vice-Chancellor at the University of Tasmania. Louise currently teaches and researches in marketing, concentrating on retailing and integrated marketing communications. Her current research focus is on small, independent retailers, retail precincts, tourist visitation to local shops and eateries, and the use of digital marketing by small firms. Louise’s research aligns with the University research theme Creativity, Cultures and Society. Her research interests include understanding the factors and resources that contribute to small retail firm success. In particular, identifying which resources are associated with higher levels of financial performance. Louise’s research also examines factors impacting tourist visitation to local shops and eateries as well as the role of digital marketing in small retail firms. This longitudinal study examines the importance of various resources on the financial performance of small, independent retail firms throughout Tasmania. This project collects survey data every three years and the findings contribute to both the extant research on small retailer resources and performance as well as providing significant practical information for the retail industry by assisting small firms to identify which resources and strategies can lead to higher levels of firm performance. It is anticipated that in the third phase of the project (to be conducted in 2019) the study will be extended Australia-wide. Airbnb visitors in Tasmania are increasingly seeking recommendations from their hosts about the best local places to eat, drink and shop, and as a result more and more local small businesses are being 'discovered' by Airbnb travellers through word of mouth (including e-word of mouth) recommendations from Airbnb hosts. This project aims to examine the process through which Airbnb hosts, guests and local small businesses (retail and hospitality) interact with one another, and specifically what impact Airbnb host recommendations to their guests have on guest visitation to local shops, cafes, restaurants and bars. This project was the winning project pitched at the Tourism Research and Education Network (TRENd) inaugural PitchFest held at the University of Tasmania on 16 March 2017. The project has also received matching funding from the Tasmanian School of Business and Economics. This project focuses on the notion of ‘retail resilience’ as it examines the impact of retail precinct marketing programs administered by local governments and affiliated marketing organisations in four Tasmanian sites: Hobart, Launceston, Burnie and Devonport. In 2017 the project received a University of Tasmania Creativity, Culture and Society Small Grant. The project will initially investigate what consumers know about soil stewardship and the demand which currently and may potentially exist for its use in agricultural value chains. Specific research unpacking consumers notion of environmentally friendly production may open up opportunities for better informing and subsequently promoting the information flow to consumers about soil management practices. The project will then develop and trial a range of different communication materials to educate and promote soil stewardship to consumers. The project will also engage with value chain stakeholders to better understand their potential demand for information about consumer willingness to pay, perceived obstacles for its usage, and specific informational requirements for rewarding farmers for quality practices. The results from this initial body of research will then be directly employed in subsequent quantitative projects assessing consumers willingness to pay for products which promote soil stewardship. Given that WOM is a powerful form of information provision for travellers and a powerful marketing tool for small businesses this research aims to discover more about how it works for Airbnb travellers, and based on our findings, make some recommendations about how WOM can be maximised to assist both tourists and local businesses. This research project focuses on programs designed to promote visitation and engagement with local retailers who are grappling with the challenges posed by changes in consumer behaviour, new technologies, the growth of online shopping and the entrance of big box retail formats, factory outlets, omni-channel operators, category killers and online giants such as Amazon. The project aims to examine the impact on retail performance of retail precinct marketing programs that are administered by local governments (and/or affiliated organisations) across four sites in Tasmania: Hobart, Launceston, Burnie and Devonport. The objectives of precinct marketing programs such as City Prom in Launceston and Hello Hobart in Hobart are to provide marketing campaigns to promote the city centre. These programs promote the city as a destination for visitors, particularly shoppers. The overarching aim of precinct marketing programs is to promote shopping precincts as destinations offering an array of retailing choice and options, thereby leveraging the ability of the programs to provide in essence free marketing for the retailers within the precinct. To date there has been little research conducted that examines the rationale, design, objectives and outcomes of these types of marketing programs.The project will focus on the notion of retail resilience. This is a concept which has, to this point, been largely applied internationally in town planning, spatial and geographical studies of retail high streets, main streets and town centre developments. Resilience is particularly important as traditional retail is challenged by new formats and entrants.